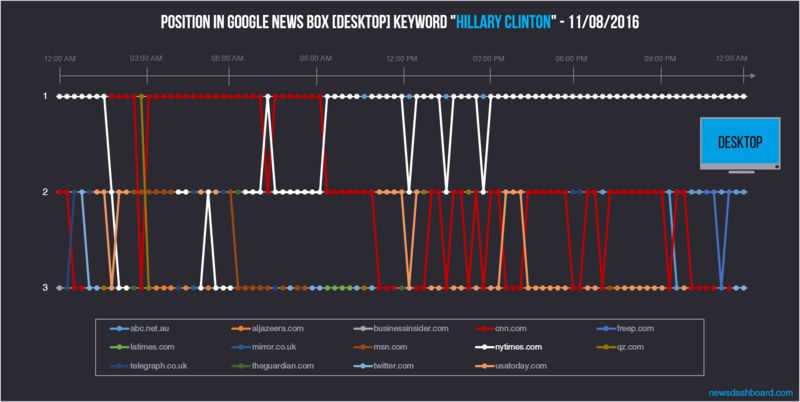 This analyses concentrates on the Election Day and partially on the day after. 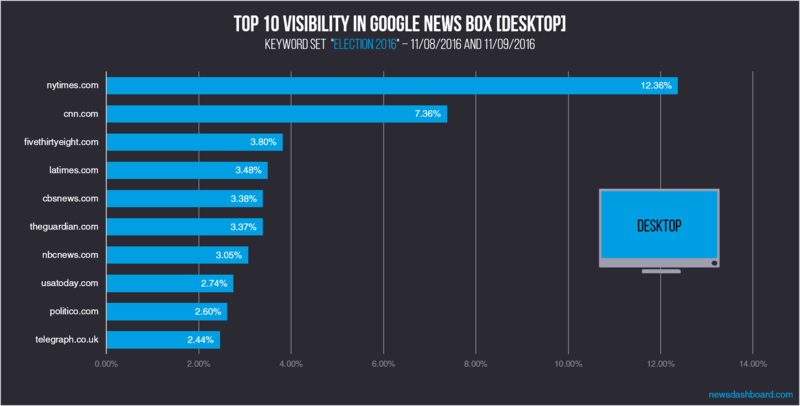 We will go into a lot of different layers, starting at the basic level of top 10 most visible publishers in the Google News Boxes and Carousels for desktop and mobile for 11/09 and 11/08. 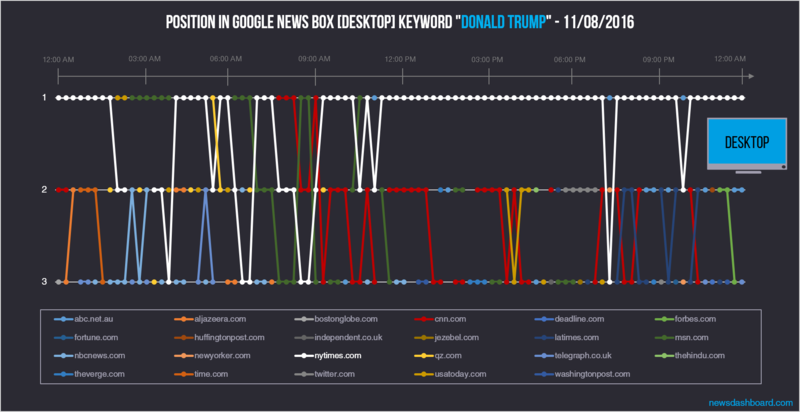 Thereupon, we direct our attention towards the flow of the changing positions throughout Election Day in the Google News Boxes for desktop for each candidate. Afterwards, we have a new view on our data. 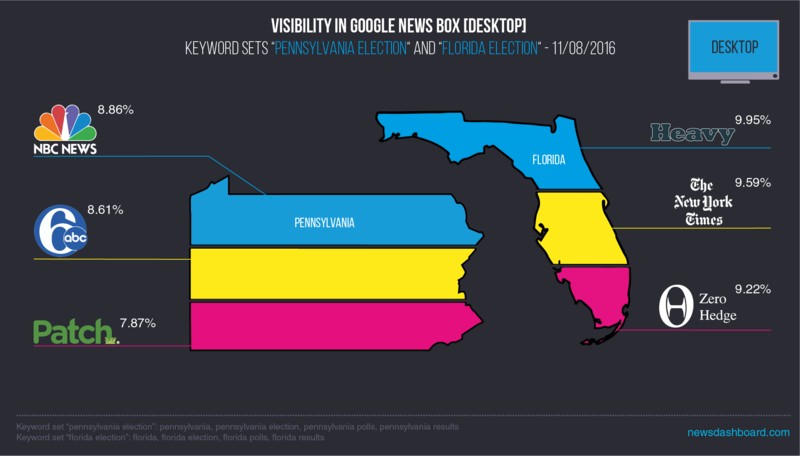 For this grand finale, we will be looking deeper into the visibility for the swing states that had the most likelihood of tipping the Electoral College – Florida and Pennsylvania. 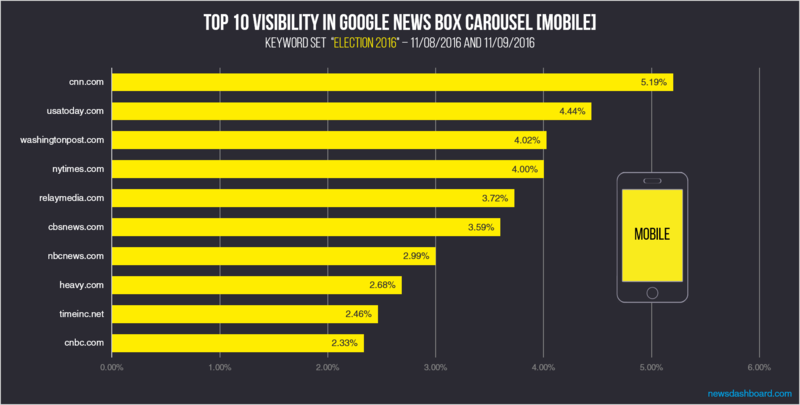 We will evaluate the top 3 publishers for a mini keyword set for each state – there are some surprises awaiting us here.